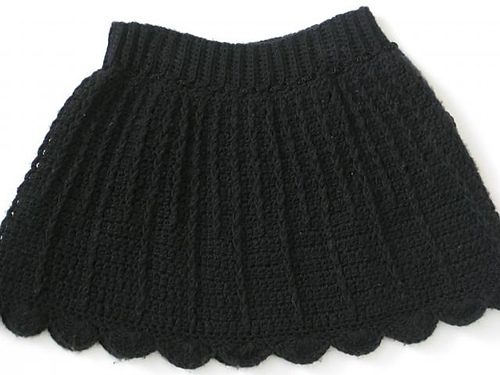 This pattern is a seamless toddler skirt with a panel effect. 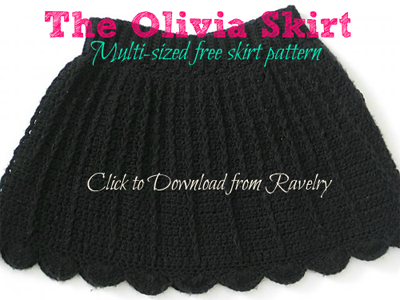 It has simple size-as-you-go construction which means you can adjust it easily for any size, including adult sizes. 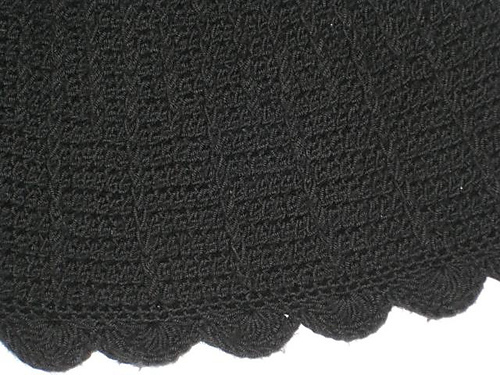 You can change the hem by adding a different ruffle or use a different colour yarn. 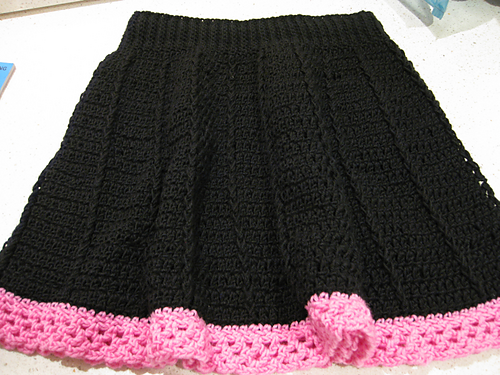 You can view pictures and project notes of other versions of this pattern made by others on the Ravelry page here.